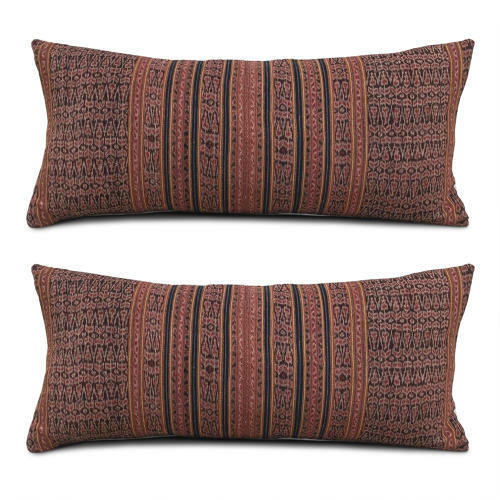 These long cushions are made from a vintage thick cotton ikat from Timor, Indonesia. The colours are wonderful earthy brown, madder reds, black and with a thin yellow stripe. The cushions have been backed with natural vintage hemp and the border of the ikat has been used as a feature on the back. They have zip fasteners and feather pads. There is a third cushion with yellow tassels, and this is listed seperately.